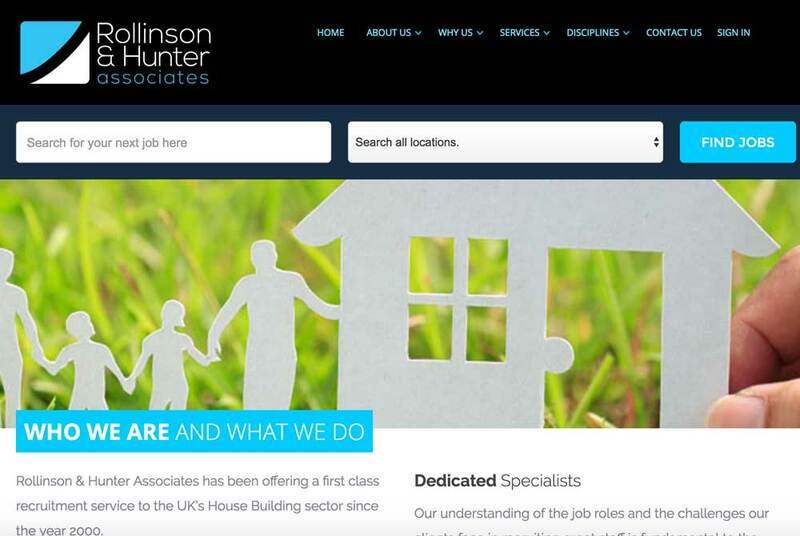 Recruitment websites can all look much of a muchness and Housing Recruitment Specialists Rollinson and Hunter Associates new this. 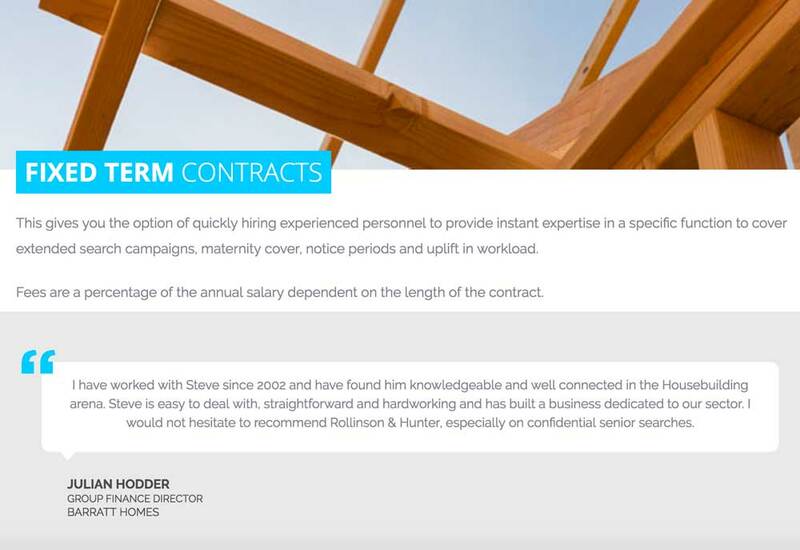 They contacted us and the brief was simple, make us stand out in the recruitment business. 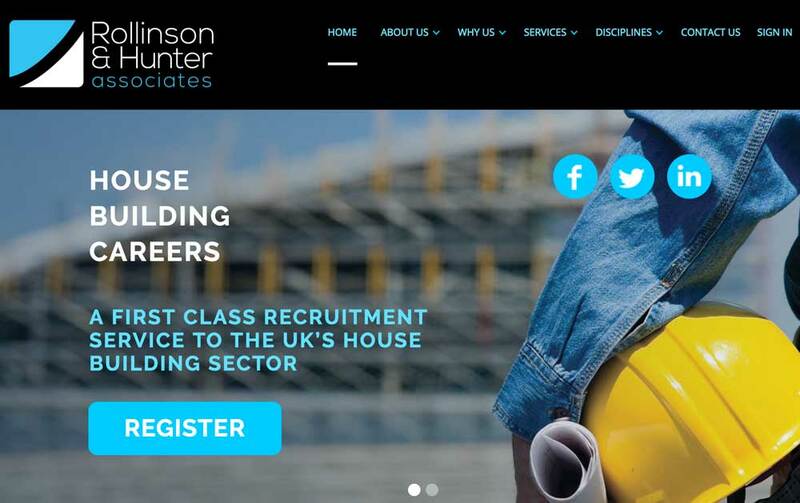 We provided branding, color palette, stationery and a responsive website which allows recruiters to list jobs, users to sign up and get notifications of new jobs and UK wide search too! 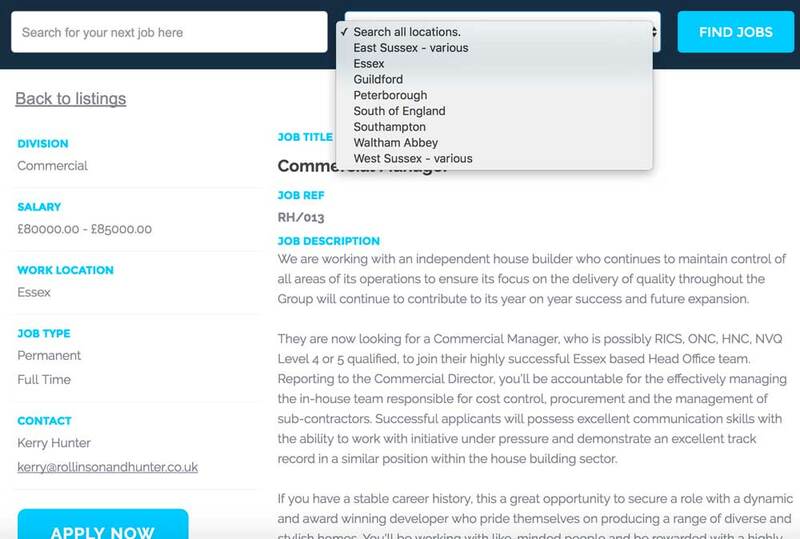 We also assisted with setting up of all social channels a first class recruiter requires in today's market.